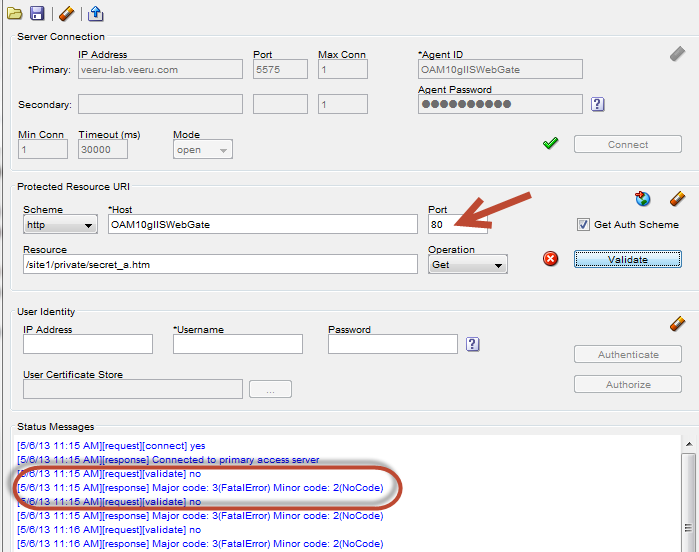 Navigate to OAM_HOME\oam\server\tester and copy files "nap-api.jar" and "oamtest.jar" into one directory. 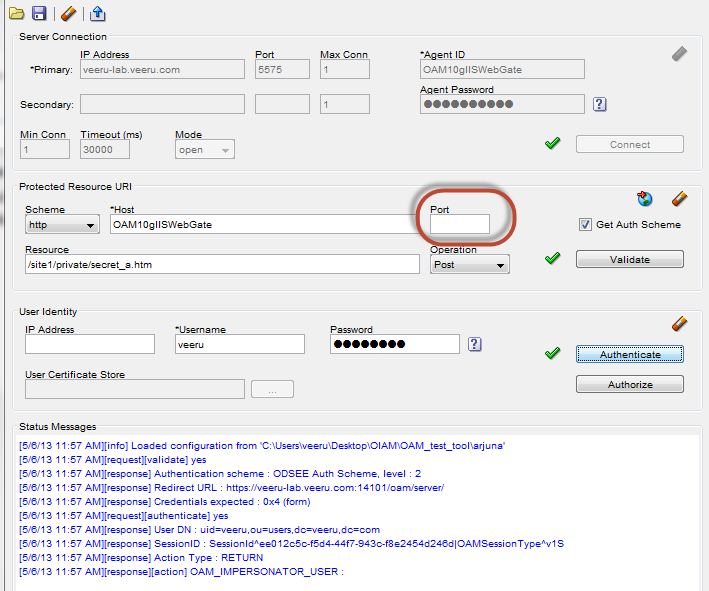 open the test tool by double clicking on "oamtest.jar"
Consider a web site which was protected by OAM using a web gate and you want to verify the correctness of your configurations, you can use OOTB test tool provided by Oracle. Removed the port "80" that was specified and try to validate. it worked. Not sure the reason/logic behind this. 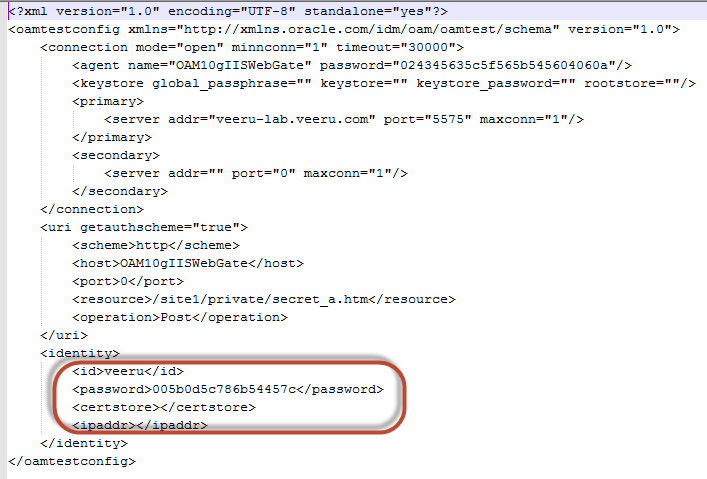 Once you have tested your website, you can save the details you entered as an XML. Observe that the password entered has been encrypted. No clue on which mechanism OAM is using to do this. Interesting part is, port value has been taken as "0". God knows why the tool has chosen "0" as port number.